Requires the installation of custom panels and handle (not included). Offers two independent cooling systems that provide a dedicated refrigeration unit to help keep food fresh longer, and a separate system for frozen food. 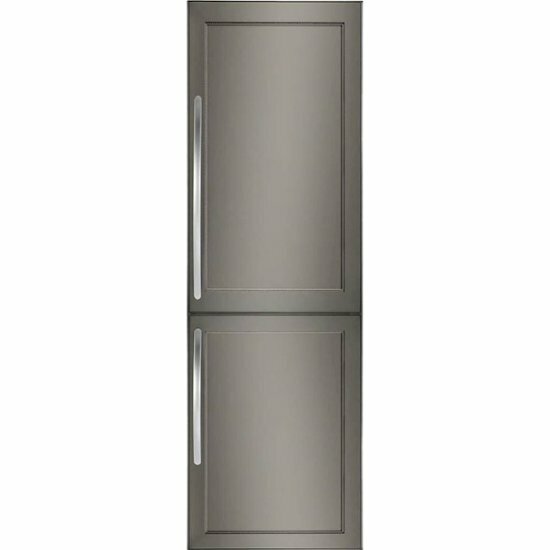 This refrigerator includes one fixed full-width glass shelf, four adjustable full-width glass shelves and one non-climate-control drawer. Features three freezer drawers to create plenty of space to organize frozen food. Illuminates the inside of the refrigerator and freezer, providing better visibility. Unlike incandescent bulbs, LED lights use less energy, last longer, and require little maintenance. Creates versatile installation options by allowing the refrigerator door to be adjusted to open from either the right or left side. Click the button below to add the Whirlpool - 10 Cu. 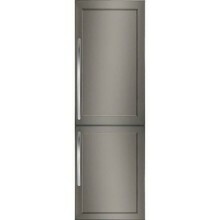 Ft. Bottom-Freezer Built-In Refrigerator - Custom Panel Ready to your wish list.